MARY J BLIGE: WORST WIG SO FAR THIS YEAR! It’s a sad state of affairs when the Queen of Hip Hop, Mary J Blige, has to show up for her Walk of Fame ceremony in this godawful hair. (Congratulations anyway!) This photo will follow her for years to come. It’s time to find a new hair stylist! This is a BIG year for Blige – besides selling tons of music, her new perfume was so successful that she broke HSN records. And she FINALLY got an acting role that proves what a shockingly proficient actress she can be. Mudbound earned her a Golden Globe nomination with more to come. So it makes sense to invest in a suitable hairdresser! 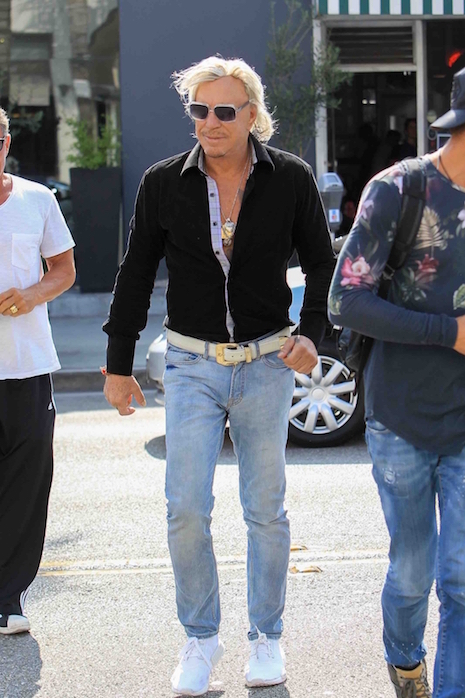 It’s difficult to fire your hairdresser when you’ve been friends for decades, but it’s time for Mickey Rourke to make a change. He’s given up on his own hair augmentation and taken to wearing wigs for the past few years. He has quite a variety in an assortment of colors, but they all share one trait- they look fake. And it’s not doing his career any good – his next two films are horror movies. 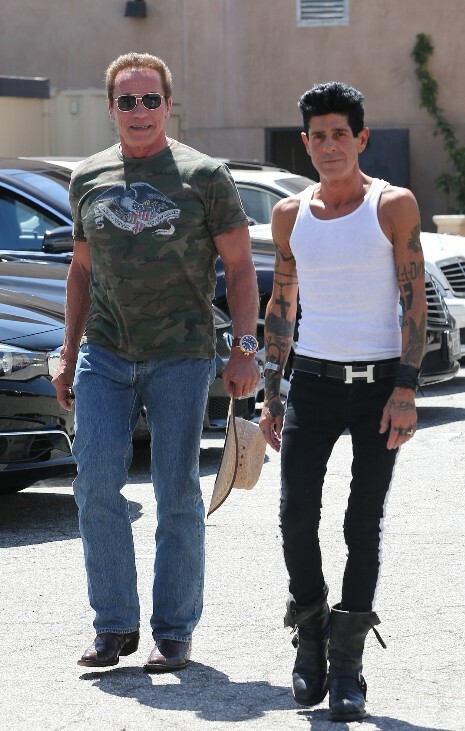 Former Governor Arnold Schwarzenegger is living like a single guy- he drove his military green Hummer (it runs on eco-friendly vegetable oil) to visit his buddy, hairdresser Giuseppe Franco in Beverly Hills. Franco has been responsible for Arnold’s hair for almost 30 years – Arnold comes to the salon twice a month for color and hair treatments etc . Giuseppe also travels with Schwarzenegger when necessary. It’s nice that Arnold is loyal to his old friends, but Giuseppe is no genius when it comes to natural looking color – for himself OR Arnold. Franco’s hair is shoe polish black, and Arnold’s is faintly orange. One of the things we liked best about American Hustle was the HAIR. In particular, the men’s 1970’s hair. Christian Bale’s character’s comb-over was an instant classic and gave the movie its hilarious opening scene. Jeremy Renner’s pompadour was perfect for his smarmy mayor character. And who can forget Bradley Cooper’s headful of perm curlers? The women’s hair was also great, but in this case men’s hair dominated the movie and made it funnier. Kathrine Gordon was the head hair stylist responsible for the magnificent coiffures and of course, she SHOULD get an Oscar for it but probably won’t. Why? Because the sometimes backward Academy gives ONE award for ”Best Makeup and Hairstyling.” Imagine combining the two very separate skills! Consequently the award usually goes to someone who does prosthetic makeup for a fantasy movie. It’s a shame that hair people aren’t appreciated like they should be. Eva Longoria left the Ken Paves salon with extra poufy hair today. She’s a longtime customer at the salon. Eva’s buddy Victoria Beckham has a mini salon in her home with a barber chair and she has Ken bring his tools and come to her house and do HER hair, David’s hair, and her kids haircuts all at the same time. 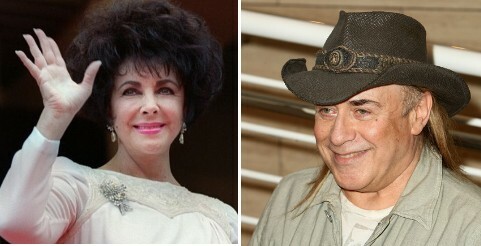 Elizabeth Taylor did not forget her longtime friends when she passed away in March at the age of 79. Her close friend and hairdresser Jose Eber was in the process of trying to move his Beverly Hills salon to a better location in the year before she died. Jose desperately wanted the space that Christie’s auction house was vacating on Camden Drive in Beverly Hills. It was a choice piece of real estate with many parties interested, but because Liz had arranged for Christie’s to auction off her estate, she made sure that Jose got the desirable space. He decorated the posh new salon in her favorite colors of lavender and purple in a final tribute to Elizabeth. PLUS, we hear Elizabeth left Jose her Maybach automobile, worth over half a million dollars! Kris Jenner recently started selling her fashion collection on QVC and she’s already earned a reputation as a diva. Among other things, she simply CANNOT allow the QVC staffers to blow dry her hair for the show. 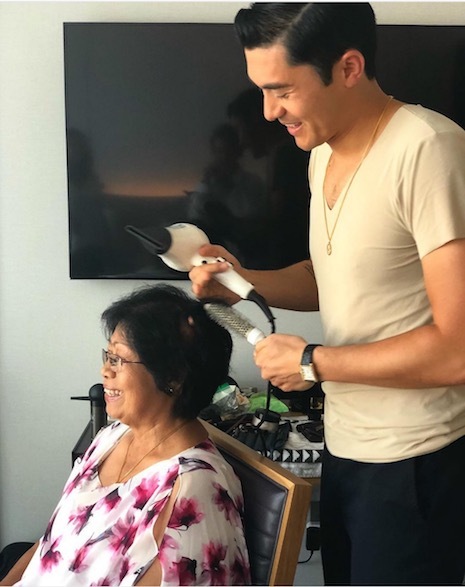 Despite the fact that the hair and makeup people have served many celebrity guests before Kris, she won’t let anyone touch her hair except her private hairdresser Alex Rodan. QVC has to pay Alex $1500 a day to travel with Kris. Lindsay Lohan claims she can’t afford to see a psychiatrist but she spends a fortune on her hair. When she bleached her hair platinum blonde she had to get a whole new set of extensions to match, and it looks like she’s lost control of them. Her damaged hair is matted and the extension connections are clearly visible. She’s been to the salon twice this week trying to tame her frazzled hair. It’s not easy having hair that color.